This bizarre looking little bottom feeding fish belongs to the family of sea robins. 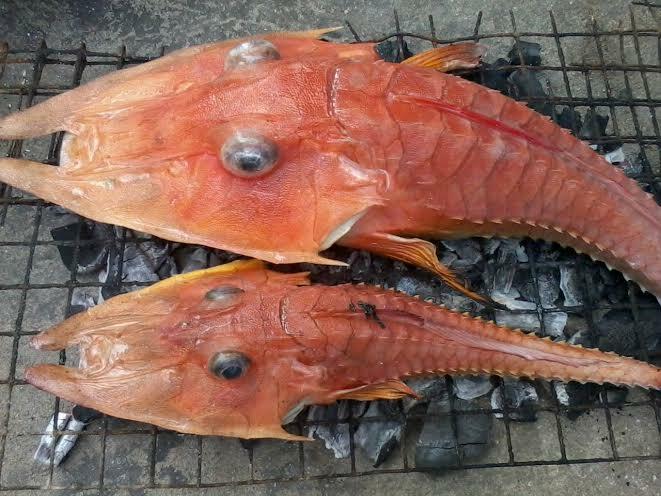 These two were caught off Cuaming Island, Bohol while deep bottom fishing. These fish are edible. Posted on April 2, 2014, in Rare/Bizarre, Sea Robin. Bookmark the permalink. 3 Comments. Wow! You don’t see this catch everyday! Fascinating Pic!